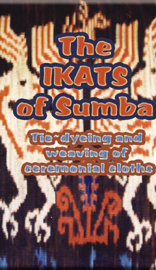 Sumba in Indonesia still produces complex and superb quality Ikats with unique and original designs. Ikats are woven in traditional villages to produce cloths which are still worn for ceremonial occasions. 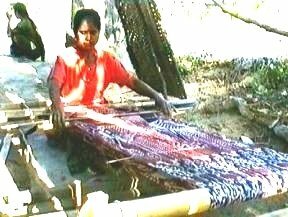 Using indigo and a red dye from tree roots the people of this remote island have developed the skill of Ikat weaving to a very high level using local materials and traditional designs. Filmed in Sumba, Indonesia. Contents: the complex process of tying, dyeing, and weaving shown in detail with many traditional designs. Includes supplementary warp technique.